‘… most popular artist of his day’. 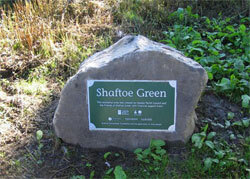 There are regular waymarks and six information panels en route. A free pamphlet with maps is available from Claire’s Newsagents and 'The Bridge' library, Church Street, T.I.C.s or download in PDF format (1.1Mb) by following this link. Following extensive winter 2015/16 damage to trees and landslides in the Allen Banks area, please follow the National Trust's new safe route diversions where indicated. Opening Hours: All year, all day. Location: Start from 'The Bridge' Library & T.I.C, Church Street, Haydon Bridge. Walk access: Unsuitable for wheelchairs. A new in summer 2017 major development for the Northumberland National Park. This is a wonderful children’s play zone and picnic park. There is a fenced play equipment area for toddlers, an assault course for the older ones and a football pitch. Supervising parents can use the seating arrangements for their picnic. Opening Hours: All year, daylight hours. Location: South of the First School, Langley Road, Haydon Bridge. Access: For wheelchairs from school car parking area via ramp. 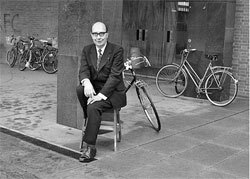 The poet Philip Larkin spent many holidays in Haydon Bridge in the flat, 1A Ratcliffe Road, owned by his girl friend Monica Jones. According to Andrew Motion’s biography, they ‘lazed, drank, read, pottered around the village and amused themselves with private games. The place always cheered them both up’. ’As always, the place worked its spell’, wrote Larkin. Helen Billham of Hexham has very kindly donated two rare privately published books by Michael Barrington, originally from the collection of Miss Monica Jones, to 'The Bridge' library in Church Street. They are available there from the archive for research on request. The Errington Reay and Co. Pottery was established in 1878. 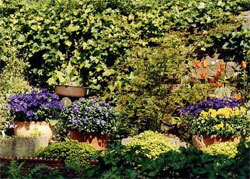 Today the pottery produces a range of ornamental pots in salted glazed stoneware. 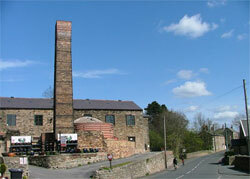 Come and visit the Bardon Mill Factory Shop & Visitor Centre. Opening Hours: Mon - Fri 9.00 - 17.00, Sat & Sun 10.00 - 16.00. Location: Tyneside pottery Works, Bardon Mill (off A69). This is a sulphurous spa well first developed in 1863 with a further improvement in 1897 to commemorate Queen Victoria’s Diamond Jubilee. 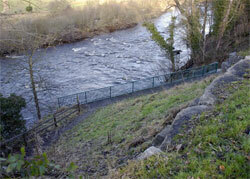 Following a collapse of the bank side in 2001, the access path has now been reconstructed. It can be reached by a very pleasant riverside walk strolling east along the south side of the river from the Anchor Hotel. Watch out for kingfishers here. Alternatively, there is limited parking on the A69 above the spa. Location: Approximately one mile east of the Anchor Hotel on the riverbank. Access: No access for wheelchairs. 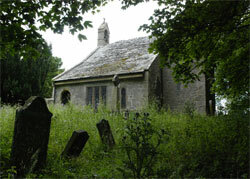 The old Saint Cuthbert’s Chapel is located half a mile east of Tofts Farm to the north of the village. The original structure is thought to date from 1190. The font is a Roman altar, possibly taken from the nearby Roman Wall. The approach is through an arch of yew trees. The northern loop of the ‘John Martin Trail’ passes the church yard. Opening Hours: Daylight hours. A key for access is available from Claire’s newsagents in Church Street. Location: Tofts to Haydon East farm road. Admission: Please leave a donation towards upkeep. Access: Limited access for wheelchairs. Please park any vehicles thoughtfully. 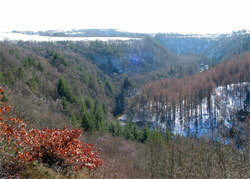 Langley Dam is a 14 acre lake set in beautiful countryside which lies approximately 3 miles south of Haydon Bridge. Stocked weekly with rainbow trout. Anglers who don’t hire a boat will need waders for the most part. 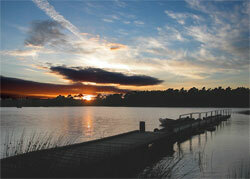 There is a new lodge with car park and toilet facilities and rods and tackle can be hired. In addition, the fishery lodge sells a limited amount of tackle. Location: Just south of Haydon Bridge on the A686. A delightful and most unusual woodland garden imaginatively planted along a former railway track, framed by two magnificent Victorian arched bridges. Opening Hours: Please check the website for the latest information before travelling. Location: Langley on Tyne, HEXHAM, NE47 5LA on the B6295, 3 miles north of Allendale. Housesteads Roman Fort, with its commanding position perched high on the exposed Whin Sill Ridge, offers breathtaking views of the open moorland of the Northumberland National Park. 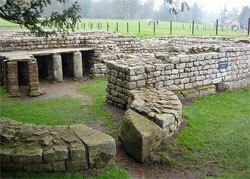 This is probably the most complete example of a Roman fort surviving today. A museum displays artefacts from the site. Opening Hours: 1st Oct - End of Mar daily- 10.00 - 16.00, 1st Apr - 30th Sep daily - 10.00 - 18.00. Closed 24th - 26th Dec & 1st Jan. Location: North east of Bardon Mill on B6318. Access: Difficult. 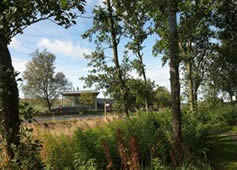 Parking at site can be arranged at Visitor Centre in car park. Toilets at Visitor Centre. 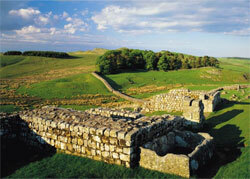 Chesters has the best preserved Roman Cavalry Fort in Britain. The fort is particularly picturesque with substantial remains of the impressive Bath House standing on a tree lined terrace above the river. Opening Hours: 21st Mar - 30th Sept daily 10.00 - 18.00, Oct - Mar daily 10.00 - 16.00, Closed 24th - 26th Dec & 1st Jan. Location: 1/2 mile west of Chollerford on B6318. Access: Accessible for accompanied wheelchairs. 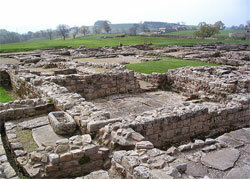 Fort and civilian settlement with full-size reconstruction of a turret on Hadrian’s Wall. Superb museum set in charming gardens. Open-air museum featuring reconstructed temple, shop and house. Archaeological excavations every summer. Opening Hours: Mid Feb - Mid Nov daily 10.00 - 17.00, Apr - Sep 10.00 - 18.00 (Check seasonal variations in closing times). Location: Between A69 and B6318, 1 1/2 miles north of Bardon Mill. Admission: Charge (Discount if also visiting Roman Army Museum at Carvoran). Access: Museum and gardens accessible. Access to excavation site difficult. Toilets at main car park. the River Allen. 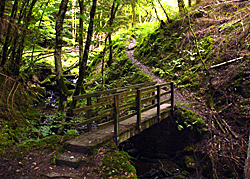 Part of the 'John Martin Trail' route (see top of page). Spectacular views from Staward Pele. Nature trail leaflets on site. Opening Hours: Daylight all year. Parking charge for non-members. Members scan membership card.